Our law practice is based on our core principles, including a deep belief in, care of and commitment to our clients and to justice, our unparalleled work ethic to be good at what we do, striving for excellence and deep commitment to justice, truth and using the highest ethical conduct and honest approach to every person with whom we contact, our clients, other parties, and the court. Representing clients in Iowa, Illinois, and many other States in State and Federal Courts as lead attorney and as local counsel. Established in 2000, we are a team of experienced lawyers from multiple disciplines of law. We formed our law firm based on our own mutual friendship and personal philosophy of integrity and commitment to our clients , justice and hard work. We now have nine partners with over 275 years of legal experience, and are licensed in Iowa , Illinois, and Texas. 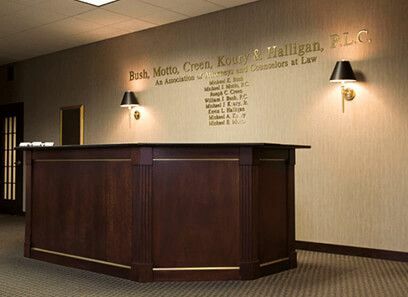 We represent our clients vigorously in trial and appellate courts, arbitration, mediation, and administrative agencies, and as thorough,thoughtful, passionate and creative legal advisors for individuals, small family companies and large businesses.